You may be financially fit—but are you financially healthy? It’s an important distinction. Achieving true financial health isn’t just a matter of saving money and building wealth. There’s also an emotional component that involves feeling positively about your finances and your ability to determine your financial future. Which means that in order to attain true financial health, you need to ensure that both the economic and emotional dimensions of your finances are sound. New research from Morningstar points to two techniques that can help. We’re all familiar with the traditional measures of financial success: earning a solid income, saving on a regular basis, accumulating a sizable nest egg and growing your net worth. But excelling at such metrics doesn’t necessarily lead to the sense of satisfaction that financial security should bring. For example, many retirees who have more than enough tucked away for a secure retirement suffer from what I call “spendaphobia,” or a deep-seated fear of running out of money that prevents them from enjoying the savings they worked so hard to accumulate. Conversely, there are also plenty of people who are more confident about their situation than their finances warrant. 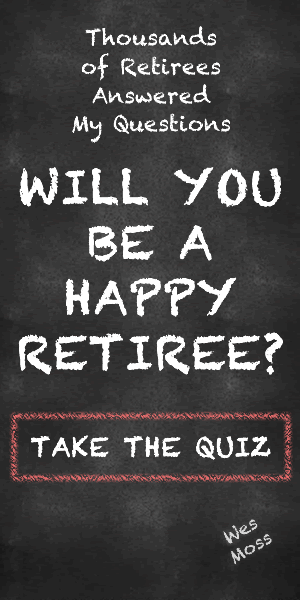 In a recent study of the retirement readiness of some 3,100 working-age American households, for example, researchers from the Boston College Center for Retirement Research found that 19% of those households were convinced they were on track to a secure retirement, but in reality were at risk of having to lower their standard of living. “So what you really want is to have both economic stability and emotional well-being,” says,” says Sarah Newcomb, a Morningstar behavioral economist and author of a new Morningstar study titled When More Is Less: Rethinking Financial Health. To be clear, Newcomb is talking about emotional well-being only as it relates to money and finances—specifically, whether you have positive associations and an overall sense that you can exert control over your financial future, or more negative feelings that create a sense of helplessness or pessimism about your ability to improve your financial prospects. Drawing on results from a recent survey of 500 adults that served as the basis of her study, Newcomb has identified two ways that people can increase their chances of improving their overall financial health. 1. Think long-term—and be specific. People who think further into the future tend to make better financial decisions than those with a short-term financial time horizon. For example, among the people Morningstar surveyed for its report, Newcomb found that those who thought ahead even just a few years about their financial situation had about four times as much money saved as those whose time horizon was just weeks or months. This relationship—the longer one’s perspective on time, the better one handles virtually all money matters—held regardless of income and education and whether one was old or young, male or female. Unfortunately, our brains are hard-wired for immediate gratification, which makes us prone to short-term thinking. Still, there are ways to train yourself to take a longer view. One method Newcomb suggests is to get yourself to visualize where you would like to be financially at specific points in the future, say, five, 10 or even 20 years down the road. You can then assess whether your current financial habits are likely to get you there and, if not, consider what you need to change. The goal is to reinforce the notion that there’s a direct correlation between the financial decisions you make (or fail to make) now and where you are likely to end up in the years ahead. As you’re going through this visualization process Newcomb also recommends that you be as specific as possible. Instead of thinking in vague terms and phrases like “I’d like to save more for retirement,” or “I want to enjoy myself once I retire,” try to add some detail: “I want to boost my savings rate by at least a percentage point a year so I’m saving 15% of salary within five years” or “I want to learn to speak Italian and spend a month living in Tuscany during my first year of retirement.” The clearer you can be about your goals and the retirement lifestyle you envision for the future, the more effort you’ll likely expend to make it a reality. 2. Accentuate the positive. People who have a sense that they are able to exert some control over their financial lives tend to make wiser money decisions and feel better about their financial situation overall. Indeed, Newcomb found that the people she surveyed who agreed with the statement “I create my own financial destiny” tended to have much more positive feelings about their finances than those who felt they have very little power when it came to financial matters. In many cases even people with lower incomes who believed they hold some sway over their finances had a greater feeling of pride and satisfaction in their financial lives than those who earned more but who lacked a feeling of control. Of course, any sense of self-assuredness must also be grounded in reality, if it’s to be constructive. Believing that you’re the master of your financial universe isn’t very meaningful or useful if the belief isn’t backed by a solid financial foundation or at least progress toward one. It’s also important to remember that, however competent or committed you may be, your sphere of influence is limited. You can’t control the ebb and flow of the economy or the ups and downs of the financial markets. Which makes it all the more important that you direct your efforts to the areas where you do hold some sway, such as how much you choose to save, how you balance risk vs reward when creating a portfolio and how much you pay in fees on the investments that make up that portfolio. Bottom line: If you want to be truly financially healthy, you need to focus both on the numbers side of your finances and the emotional aspects. After all, what good is feeling confident about your financial prospects if your self-assurance is unrealistic? And what’s the point of working hard throughout your career to attain financial security if you’re not able to take pleasure in it?